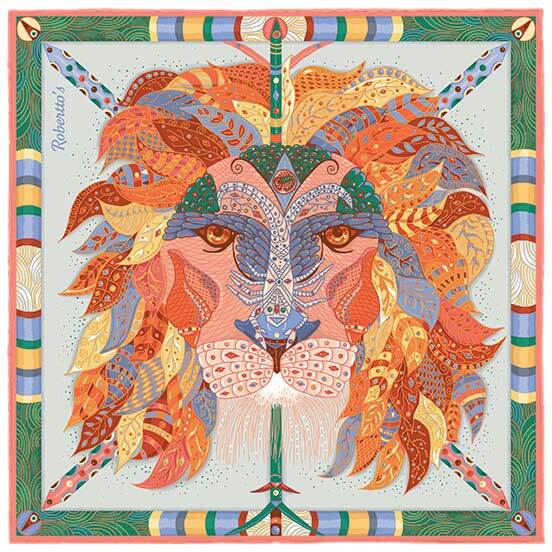 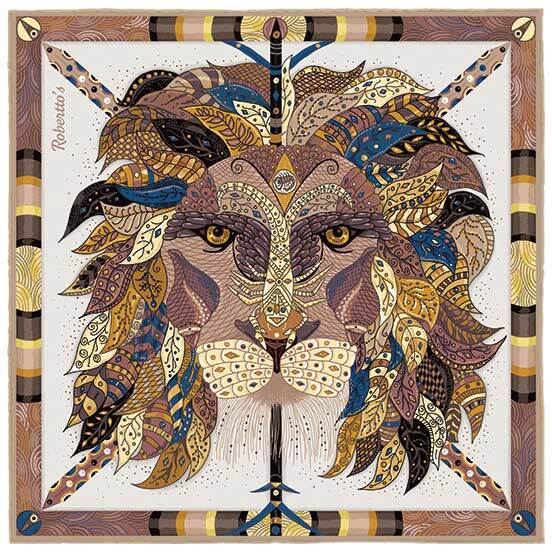 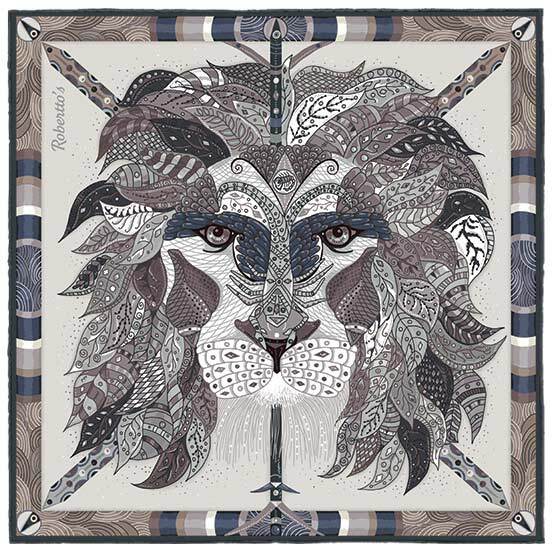 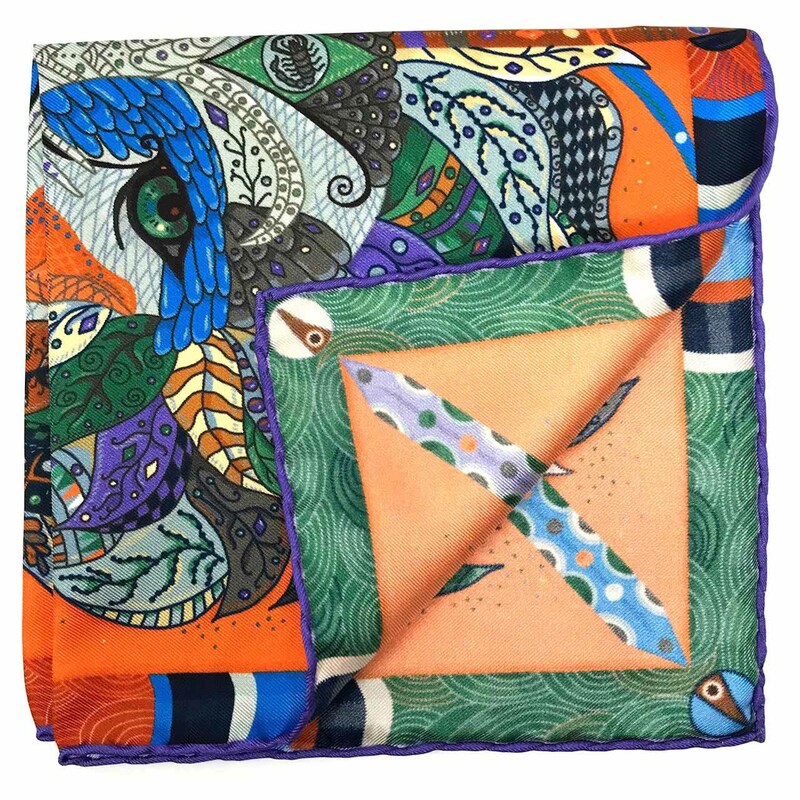 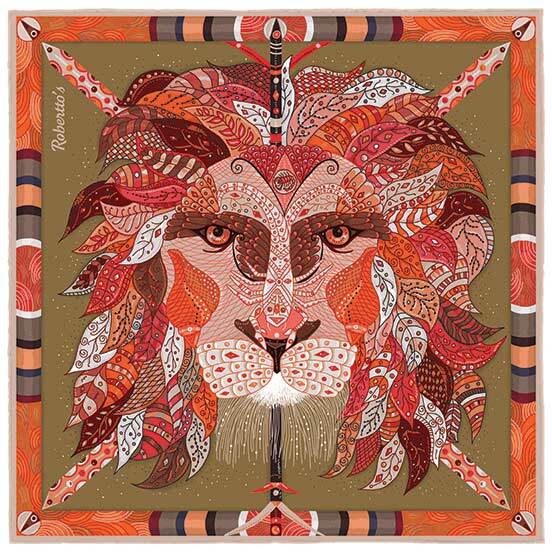 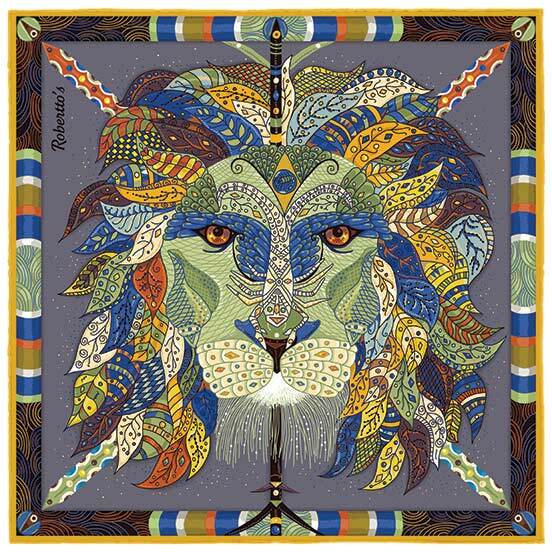 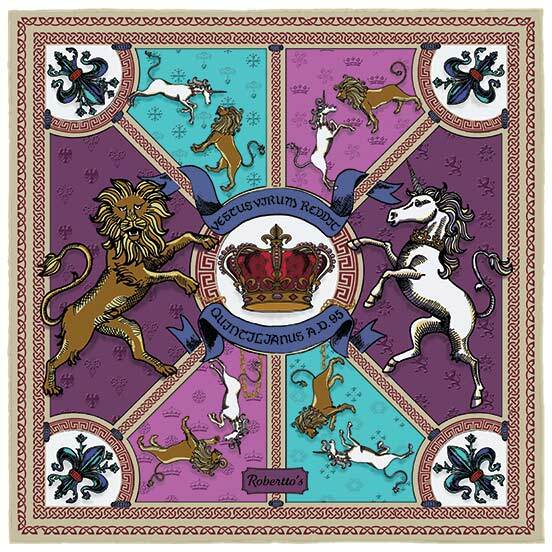 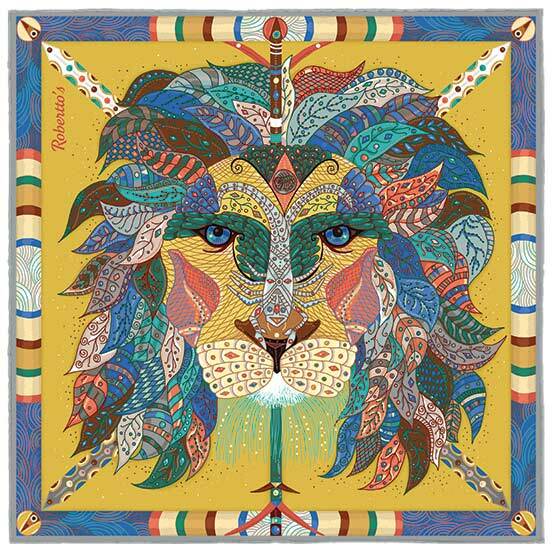 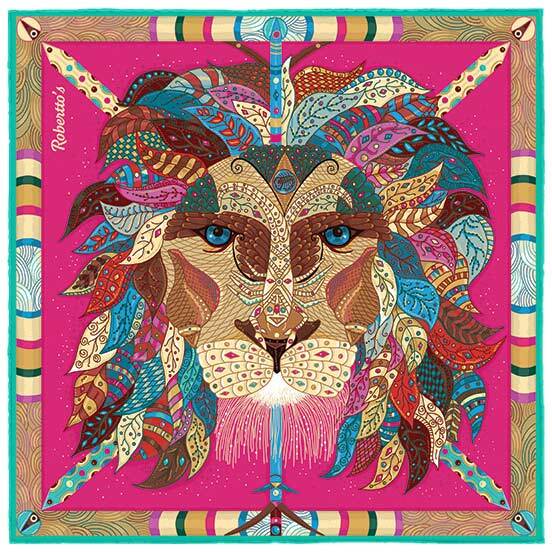 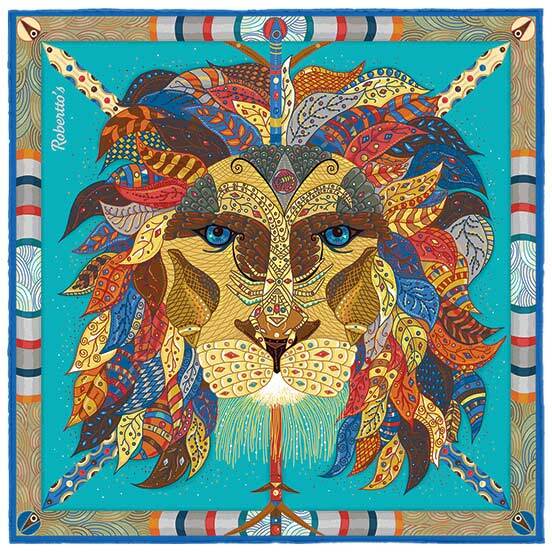 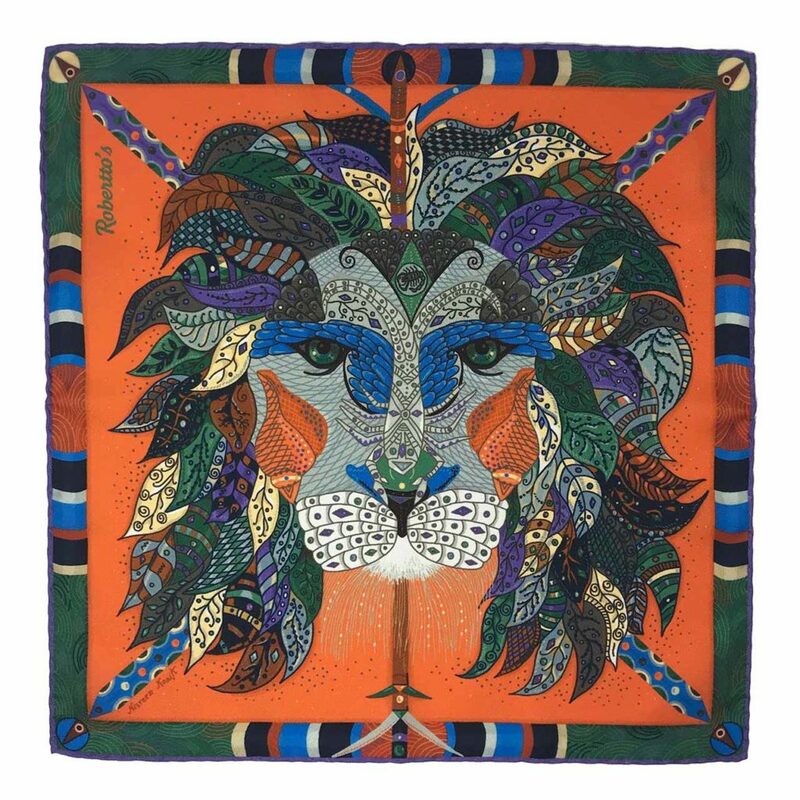 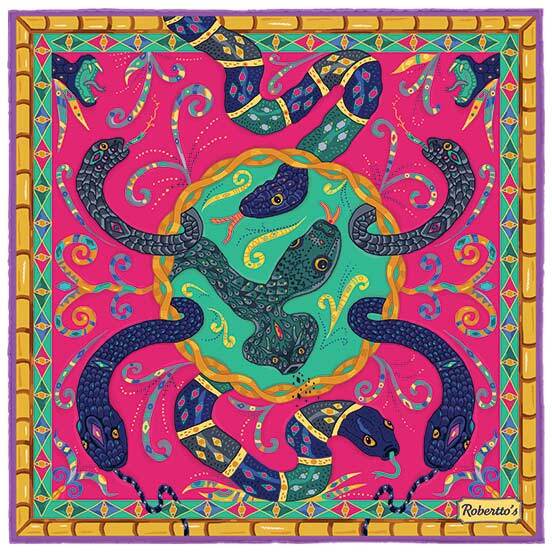 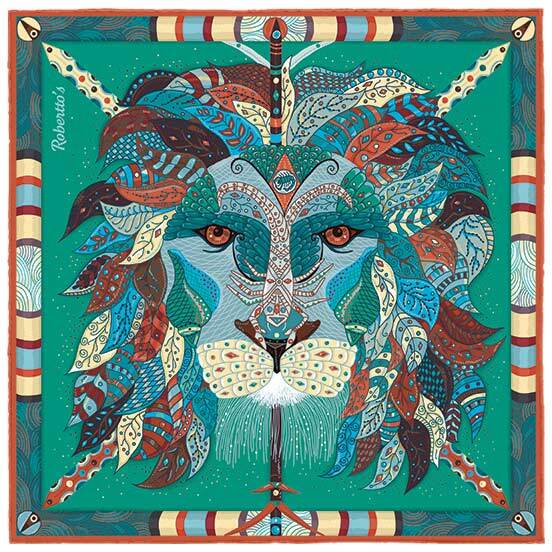 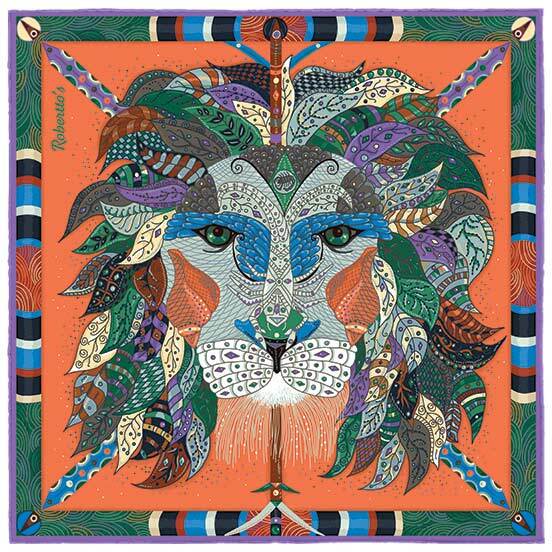 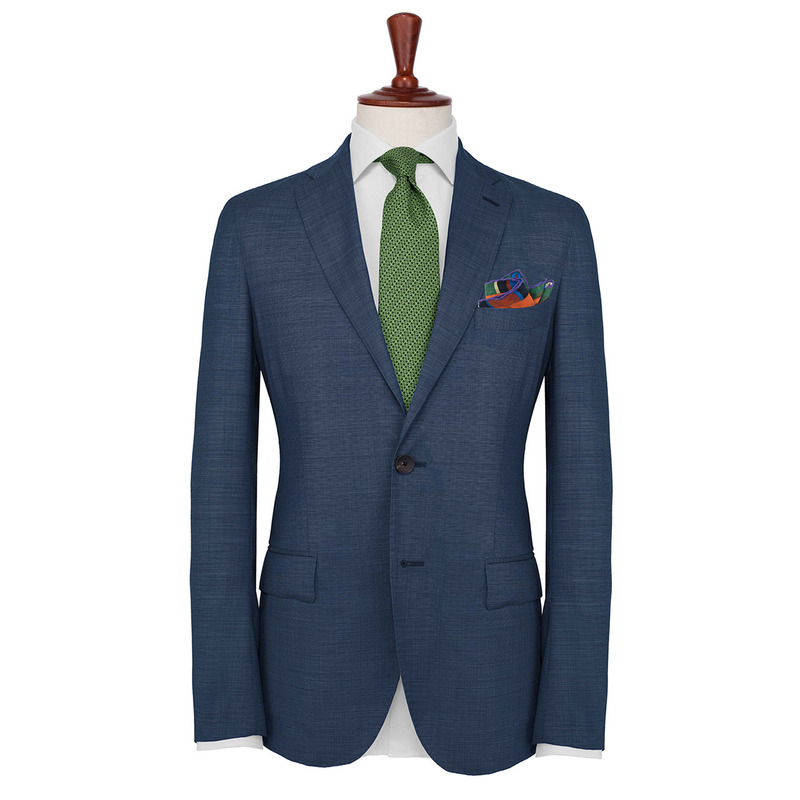 Despite this being a pocket square consisting of bold and powerful colors; an orange background, a purple hand-rolled hem, and a lion’s head design made up of blue, grey and hunter green, the overall effect is one of remarkable balance and elegance, a testimony to the skill of the designer and colorist behind the item. 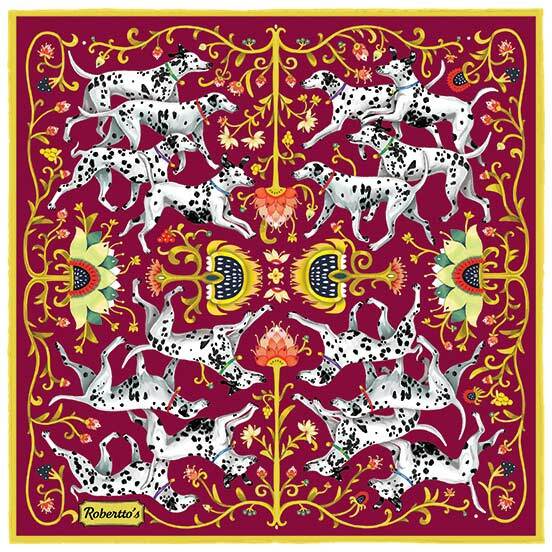 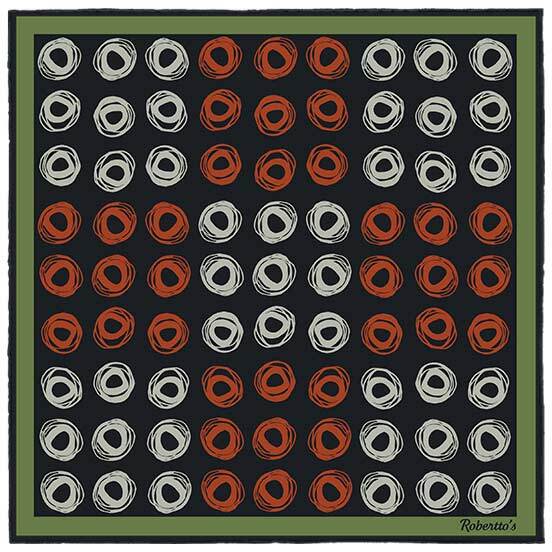 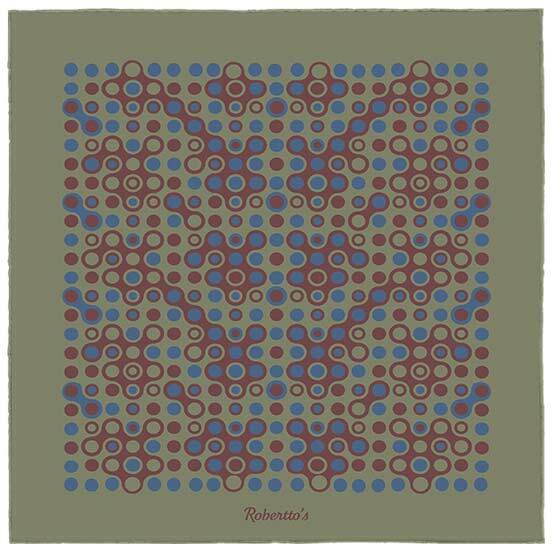 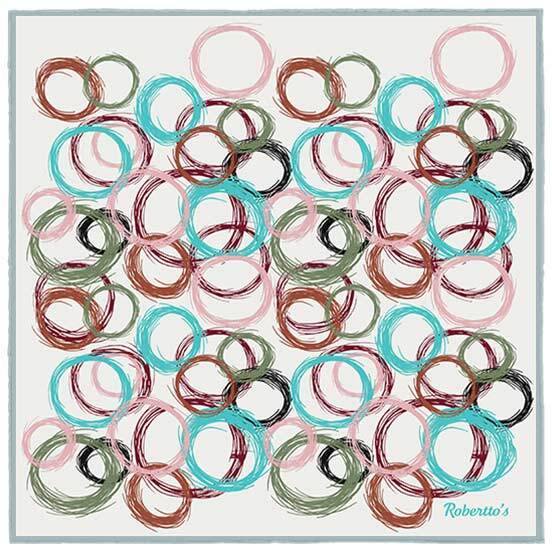 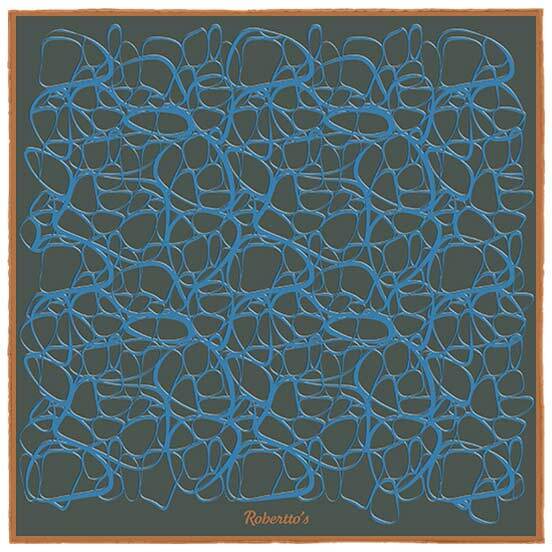 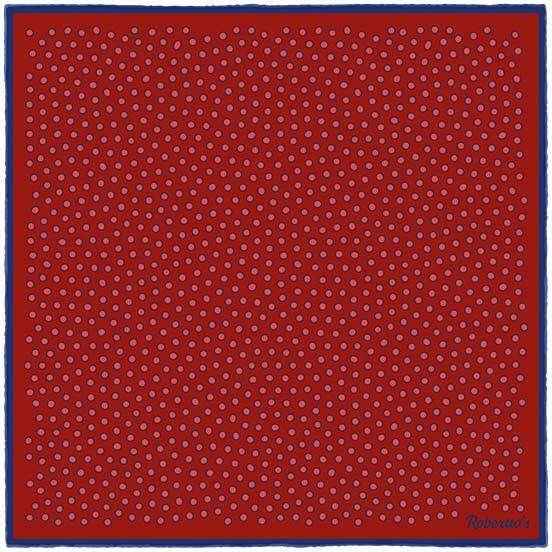 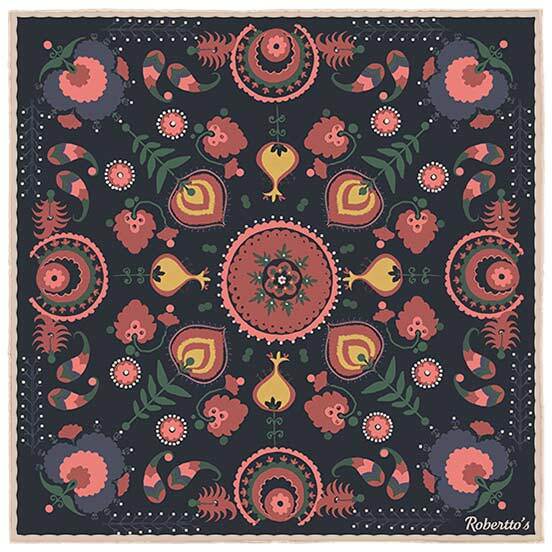 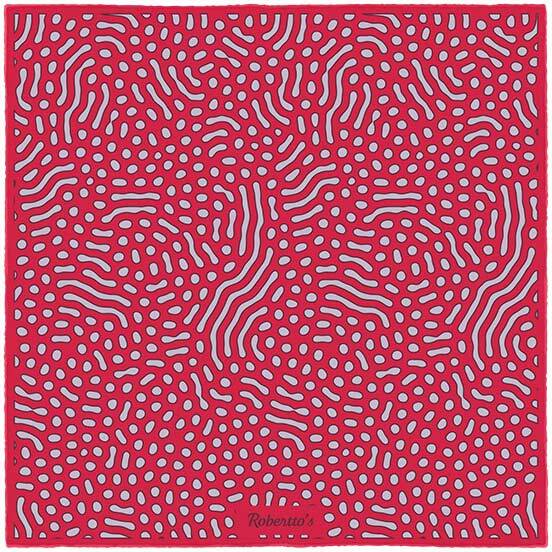 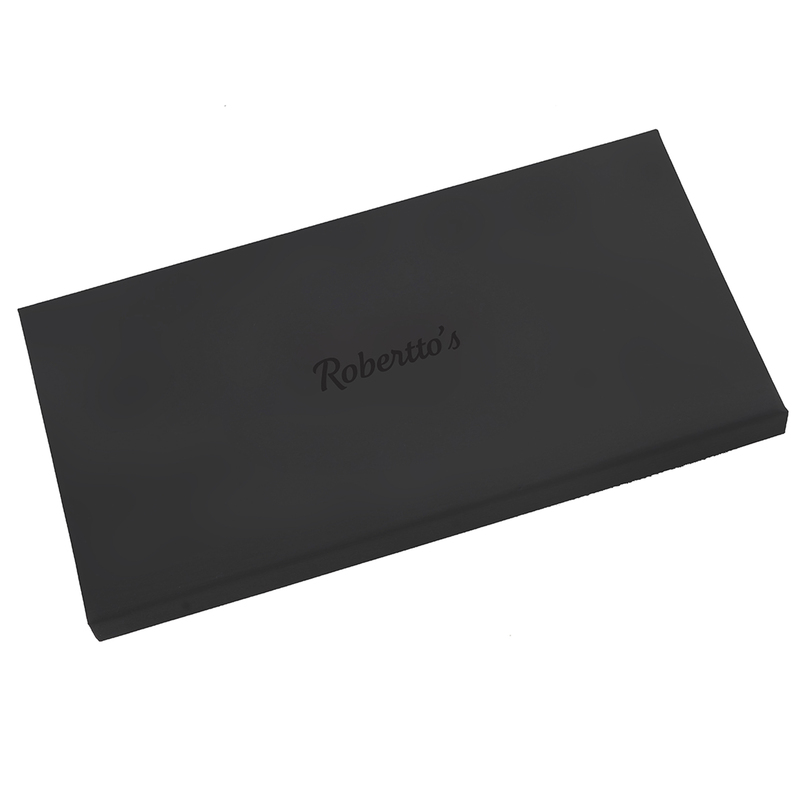 This is a versatile pocket square, capable of being worn with a wide selection of outfits. However, to do justice to that careful balance of tones, wear it with a charcoal grey suit, a grey shirt, and a necktie in purple and grey.